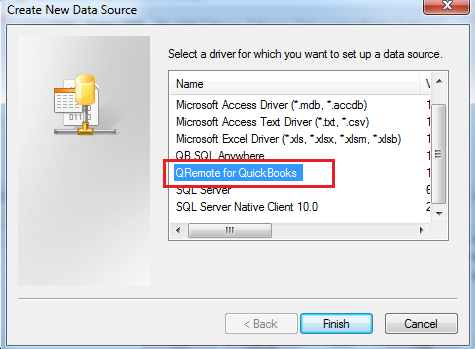 How Can I use same Excel files in 64 & 32-bit Systems? 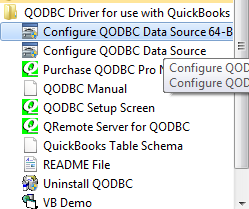 Is it possible to have a connection setup in an Excel file and be able to refresh on either a 64 or 32-bit system? I know it’s possible on the same (64 or 32) as long as the DSN’s have the same names but I wasn’t sure about “crossing” between systems. 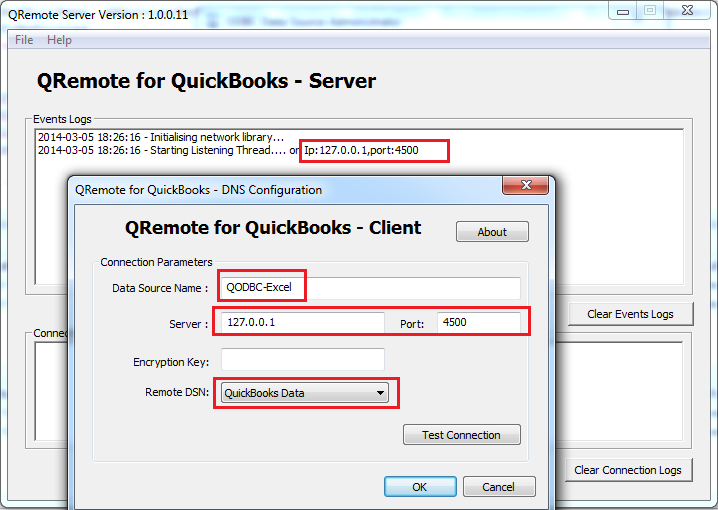 Yes, You can create a QRemote DSN with the same name on all the machine on which you would like to use Excel. 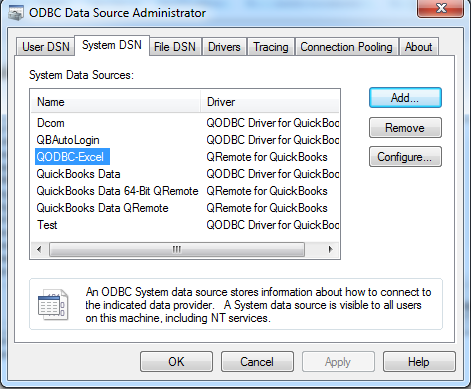 Your Excel file need to use a common name DSN, For Example, "QODBC-Excel"
Go To "System DSN" Tab >> Click on the Add button to create a new DSN "QODBC-Excel". 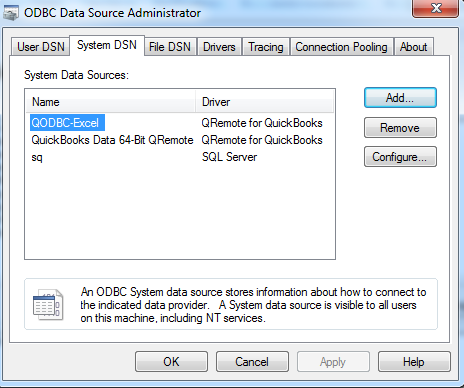 Now we can see newly created DSN "QODBC-Excel" in System DSN list. 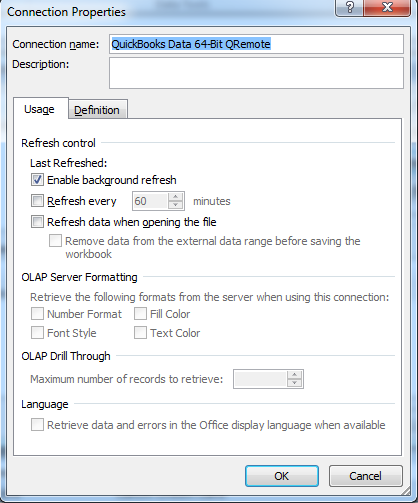 To apply newly created DSN to old Excel files. 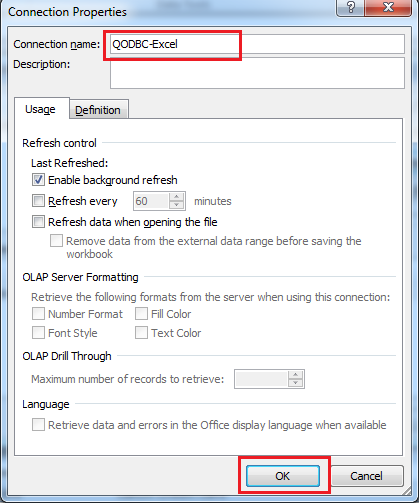 Open Excel file, Please Go To Data Tab & click on "Connections". You can see existing connection details, please click on "Properties". 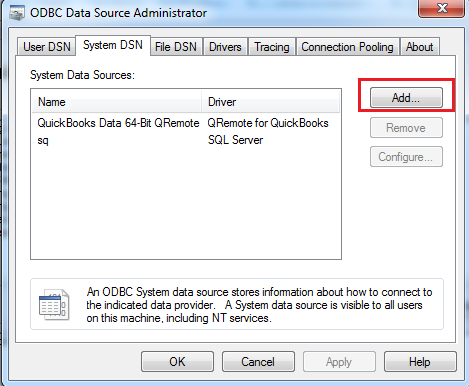 Please select connection name & remove it. 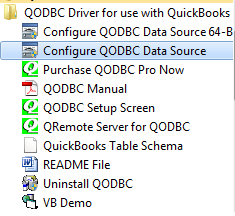 Now manually write newly created DSN name for this example it is "QODBC-Excel" & click "OK". 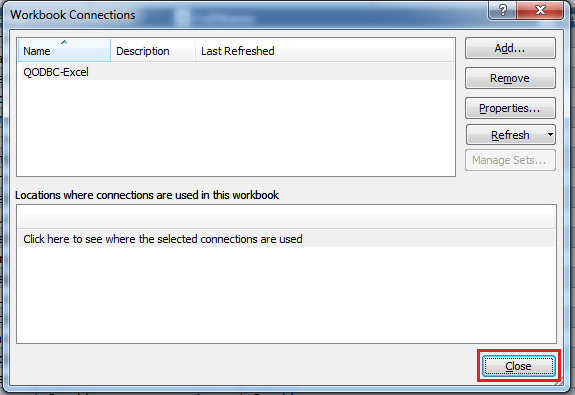 Now you can see updated connection details. Please click on "close". 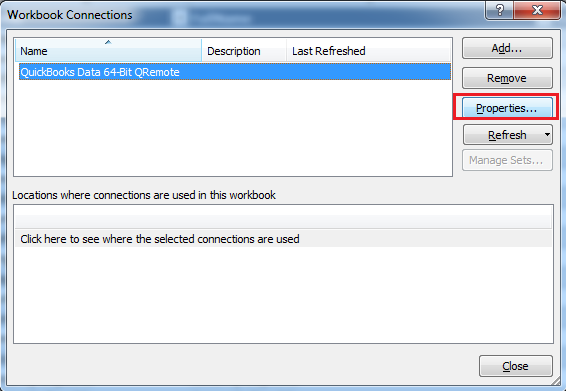 By clicking on "Refresh All" button, you will get updated data from newly created DSN.